Simplicity is the trend now and designing your kitchen from the scratch in new simple manner is bit difficult. Refinishing or repainting everything present in the kitchen is not like an art and craft project. It needs time and sensibility of from where exactly you want to start and end. There are plenty of options available in the market according to your money or taste, traditional or modern, etc. You just need to summarize everything and then accordingly start to build kitchen from scratch. 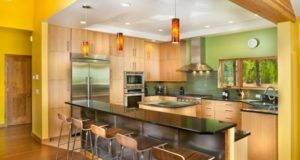 A number of collections of designs for makeover of kitchen with different styles and design are present. 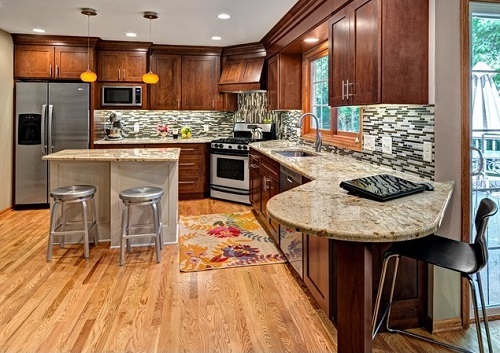 Select priorly about which cabinet, furniture, countertops, etc you want to paint according to your visual interest. Whether it is the current cabinets or the furniture placed in kitchen, measure the space of everything with a measuring tape. If you want to change the size of anything, make sure you have enough space for yourself to do those changes. This is the most crucial and difficult step to overcome your kitchen from scratches. So take time to measure everything and thus it will save time later on. 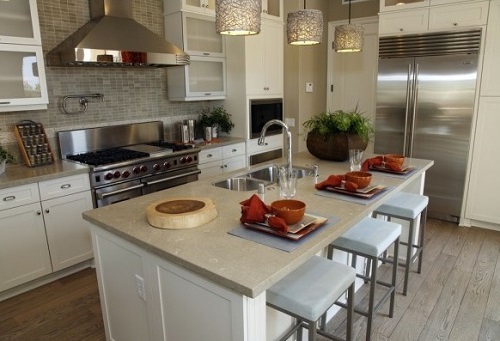 Discuss what you are looking for, for your kitchen renovation with sales representatives at the store. You have to be particular about the material you want to use for handles or shelves or backsplash or anything. Purchase your material according to the measurements which you had just pen down. Also, if not available then order them according to your specification and must have a detailed of everything you purchase. Place all the things you had purchased at one place and ensure that you had bought everything that is required and necessary part for kitchen. You can also label them to avoid confusion later on at the time of refining. 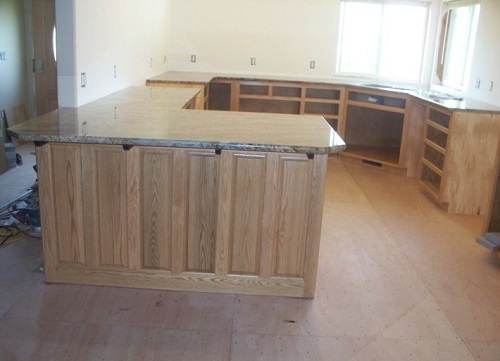 To build kitchen cabinet from scratch, assemble the cabinet base that is applying them in all places except front side. After applying glue, you can use screws as well to make it stronger. But apply screws parts together at each corner, so that screws would not be visible after the installation of kitchen cabinets. In the similar manner, fix everything that can be removed and installed again. It can be taps or backsplash, clean them first and installed it. Place everything to their place, like place the cabinets’ door on the top and mark the position where the hinges will be installed. Like this, follow the same with every other thing. 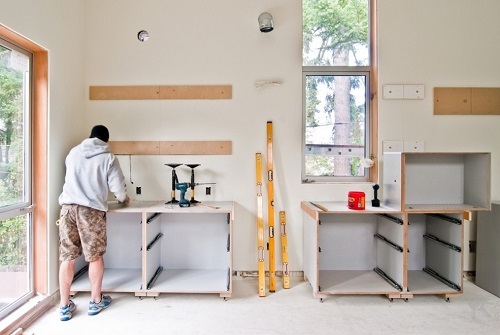 In case of cabinets, screw the hinges into their place with the help of screwdrivers. Now the cabinets can easily be opened up and closed evenly. Clear up the countertops now and start the process painting the wall of kitchen. Before applying paint, it’s good to apply Plaster of Paris to maintain uniformity. Select the colour of your choice for kitchen walls and ceiling. Apply the colour at least two times so that colour can maintain its uniformity even at the corner as well. 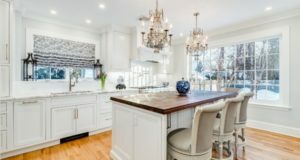 To give a decorative and final touch to your kitchen; place all door’s handle and knobs; take help from any one for proper installation of cabinets, place the glass at the countertops or if already present then clean it up. Follow the same for other things in kitchen to ensure that they are cleaned and painted.